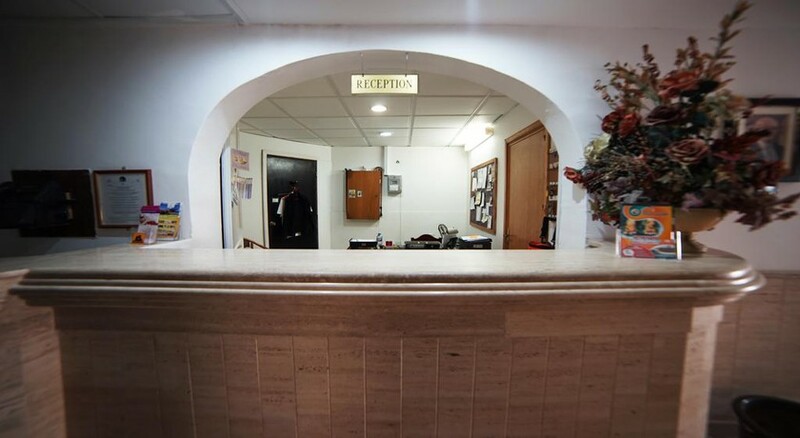 Cardor Holiday Complex is a cosy hotel and is often praised by guests for its ideal location. The hotel is located in St. Paul's Bay, in the Bugibba and Qawra complex. The sea is quite close and opportunities for taking a refreshing dip in the Mediterranean as well as engaging in water-sports are high. The promenade in front of the hotel is a hotspot for taking a stroll and is dotted with a variety of shops selling light bites as well other items of stationery as well as souvenirs. The National Aquarium Malta and the Malta Classic Car Museum are in close quarters. 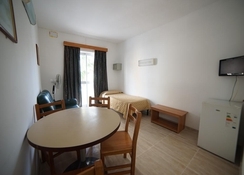 Various attractions such as Mellieha Bay, Mediterraneo Marine Park, St. Mary's Church and Palazzo Parisio are all within a relatively short driving distance. 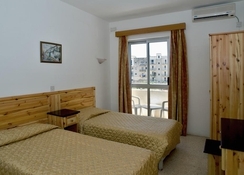 Cardor Holiday Complex is centrally located in Qawra / Buggiba on St. Paul Bay on the Triq il Touristi road. There are several English pubs within 50m where karaoke events are held on most days of the week. The beach (rocky beach) is about 400m with a beautiful promenade. There is also the new National Aquarium of Malta. 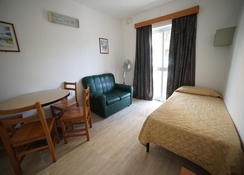 The Malta International Airport is 20.6km from the hotel. Bus connectivity is rather good in Malta. For Valetta, the bus leaves every 12 minutes, but there are also areas, for example, to the cliffs in the south, where buses run every hour. Cardor Holiday Complex offers 29 one-bedroom apartments with each room having a private bathroom and a fully equipped kitchenette. 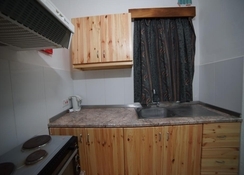 The amenities of the bathroom include a bathrobe, slippers, a hairdryer and toiletries. Room facilities include a safe and a desk. There is a microwave in all hotel rooms. Cardor Holiday Complex organises live cooking shows for its guests. Meals are usually in the form of buffet and are hosted at Hotel Canifor, which is adjacent to this hotel. The buffet breakfast is typically English. In the immediate vicinity there are all kinds of restaurants – including King Cod and the Café Del Mar. St. Julian's is very popular with guests who are interested in nightlife. Cardor Holiday Complex has access to the spa with gym and hammam. In the massage and beauty area, travellers can benefit from the beauty treatments offered. On the hotel grounds, travellers can play billiards, bowling, mini golf and volleyball. The area surrounding the hotel offers cycling and diving activities. Enjoyed the hotel but rooms were a little run down. Staff were great and breakfast well worth it.